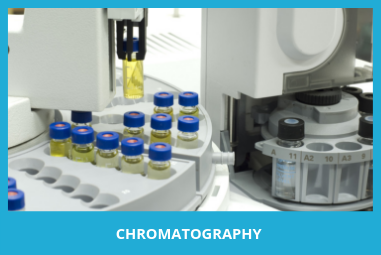 Developments in analytical HPLC instruments and column chemistries over the last decade have changed the way chromatography is conducted. Users are utilizing advanced technologies including sub-2 and sub-3 micron particles, superficially porous particles and innovative UHPLC systems. Moreover, the use of UHPLC and LC/MS technologies in omics research and clinical diagnostics is generating significant growth opportunities. While previous generation instruments featured pressure ratings of up to 400 bar (5880 psi), the new generation of general purpose HPLC systems feature pressure ratings of up to 600 bar (8700 psi). The added performance coupled with the newly available column chemistries are allowing users to test the limits of their applications. Users are adjusting operating conditions, solvent concentrations, exchanging solvents and using different columns in order to achieve better separation and increased efficiencies. The goal of this report is to provide a strategic perspective on the current market situation and projected potential for analytical HPLC instrumentation and LC/MS. This report identifies, in both quantitative and qualitative terms, the structure and composition of the worldwide analytical HPLC market. Technical, business and economic trends are assessed with emphasis on the impact these forces have on demand. This 400+ page report evaluates the demand for systems types, aftermarket, columns, chemicals, CDS and service. It measures the size of different application segments with forecasts through 2018. The report also provides insights from 306 HPLC users who revealed their preferences, attitudes, and trends within their industry and in their laboratory.